Noa is a Planner from Israel, residing in Singapore. She studied Marketing in Tel Aviv and Strategic Planning at the Miami Ad School in Florida. 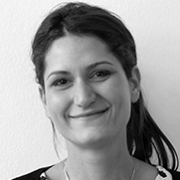 She has worked on Israel‘s leading brands, providing business and marketing consultancy to clients, and has experience with brands such as Unilever, DBS, P&G and Nestlé in various Asian and Asian-Pacific markets.